We’re proud to provide start-to-finish dental implant therapy for our patients. We’ve invested in Tomogram technology that allows us to perform implant placement for the purpose of supporting restorations like crowns, bridges, and All-on-4 implant-supported dentures. Dental implants are just like having a real tooth. These stand-alone restorations preserve your smile, boost self-confidence, and provide long-term results. Dental implants provide patients with a permanent tooth replacement option. Each titanium implant is securely held into the bone, and can support various sizes of restorations from single dental crowns, multiple tooth dental bridges, and full-arch dentures. Our implant-supported denture option is a full-mouth denture that is anchored by only four dental implant roots. These “All-on-4” dentures stay in place permanently, and feel much more natural to wear than conventional dentures. Most dental offices only provide implant restorations, but our patients can complete their entire implant therapy with us from start to finish. You’ll never have to see a specialist or wait for doctors to correspond with one another before moving on to your next phase of treatment. What makes dental implants an ideal treatment? We implement Tomogram technology in our practice, allowing us to have an extremely high implant success rate. This technology equips us with the imaging we need to identify exactly where implants should be placed during the surgical phase of treatment. It also reduces the amount of healing time that is needed following the placement of the implant. In 3-6 months, new bone formation will have developed around the implant, and it will be ready for the permanent restoration to be placed on top of it. 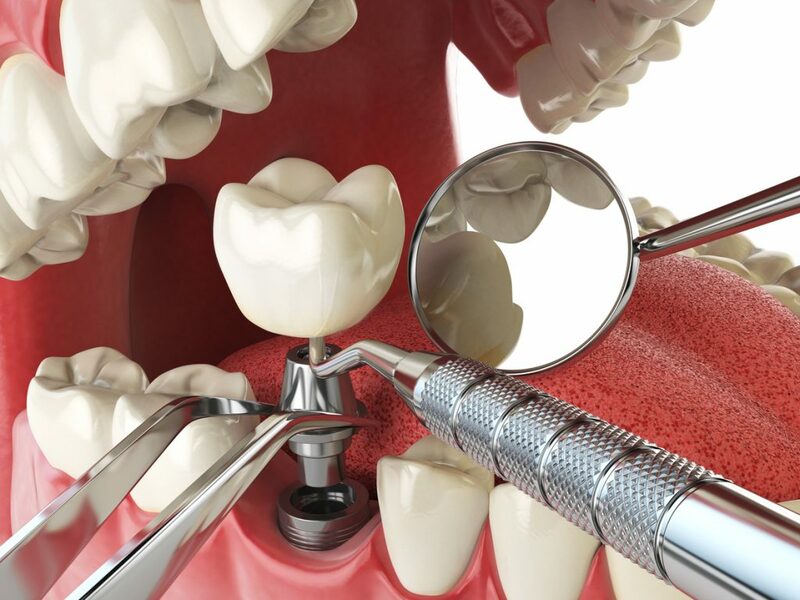 There are certain requirements that must be met to be a candidate for dental implant therapy. A disease-free mouth and quality bone levels are some examples. We invite you to schedule a consultation with us to find out if dental implants are an option for your smile. Everyone deserves choices – that’s why we have so many options to replace your missing teeth! Please call North Woodbridge Dental Office today to schedule your consultation!